Chances are you’re reading this post because you’re in the market for a new website and need some help with choosing the right web design agency to work with. A quick Google search will return results for dozens of companies. How will you narrow your search and decide which is the best one for you? It’s important that you’re comparing apples with apples during your search so we’ve put together this guide to help you cut through the noise so you can select the best agency for your next project. The first section of our guide focuses on the questions that you’ll need to answer before a web design agency can provide you with a meaningful proposal. Once you have a firm understanding of your own needs and requirements, you’ll also be in a better position to make a wise choice about the best agency for you. Also, setting a clear expectation in your mind before you begin will aid the selection process. Be prepared to describe your company, brand values, business model and operations to prospective agencies. You’ll also want to talk about your current challenges and pain points, and how you expect your website to alleviate these concerns. Describe your target market and clients. By understanding the demographics and geographical location of your target audience, prospective agencies can put themselves in the shoes of your clients’ making sure they anticipate their needs when they develop your website. Who are your competitors, both on and offline? Explain what makes you unique. This will allow website agencies to understand your value proposition and think about how your website can stand out in the crowd. If you have a marketing and advertising plan, describe how you currently promote your business. Discuss how well it is working for you, where you think it can be improved and how you see your website addressing some of your marketing issues. What do you like and dislike about your current website? Describe the ways in which your website is or isn’t meeting your current needs. You might also want to consider things like traffic volumes or user behaviour on your site. Have you ever sent a client survey out asking specific questions about your site? Here’s a few ideas that you could consider to get more insight into how others use your website. Then think towards the future – what changes will support your evolving business needs? What is the purpose of your website? It’s very important that website agencies understand what you hope to achieve with your website. Do you want to expand your market reach by selling products to a new demographic? Are you looking to support existing business processes through your website? Or do you simply need a brochure website with information about your company or products and services. Also think about how much input you’d like to have in the design of your website. Some people want to be very involved in the design process, while others are happy to leave it entirely to the experts. If a great deal of involvement is important to you, you’ll want to ensure that the agency offers several check-ins throughout the design phase. Make a list of the basic functions and features you require on your website. For example: e-Commerce, photo gallery, online booking system, etc. When you meet with design agencies, they may have some additional suggestions for features that will be useful to you or your customers. A few years ago, it was a ‘good idea’ to have a mobile-friendly website. Today a responsive website – one that works well on devices of all sizes – is imperative. Not only are we using our mobile devices to surf the web more than ever, but search rankings are also influenced by the availability of a mobile-friendly website. If prospective agencies don’t ask you, be sure to ask them about their approach to building responsive websites. We recommend working with an agency who only builds responsive websites and considers mobile from the start, rather than as an optional add-on. It’s also important to think about how much work you are willing or able to do on your website. For example, do you plan to write all of the copy on your website or do you need your website agency to handle this? Will you load content (images and copy) onto your website yourself or do you expect your website to be delivered 100% ready for launch? Do you have an existing domain name, or do you plan to register a new one? Let prospective agencies know where you’ll need domain support, as not all agencies provide this important service. Do they recommend a secure certificate for your website (https rather than http)? This why we recommend secure certificates for all of our client’s sites. If you plan to transition your website to a new domain this will require upfront planning to ensure that your SEO position is not negatively affected so they should discuss details about this with you too. Not all website agencies have dedicated digital marketing teams. It’s a good idea to think about your digital marketing requirements to determine if your prospective agency can handle them or whether you’ll need to engage another company for these services. For more information, check out our post about choosing the best digital marketing agency over on the Apex Digital blog. When do you need to launch your website? This is an important question to consider when choosing a web design agency as not all companies will be able to start your project immediately. It’s rare to find a company that can begin your project straight away – this shouldn’t necessarily be a deterrent. If anything, it should be a sign that their work is in high demand. If you have to wait too long, however, the company may not be a practical choice. Last but not least, think about the investment you’re prepared to make in your website. When you consider your website investment, we recommend thinking about it against your marketing spend in other areas. Websites can offer an incredibly strong ROI when they are developed by a website design agency that truly understands your needs and one that has the necessary skills and expertise in design, development and digital marketing. A business website is an investment that needs to deliver acceptable returns. In order to ensure a good investment, a wise investor knows that substantial upfront research is required. In the same way, it’s important that you carefully interview and screen any website agency that you are considering partnering with on your project. Now that you’re clear on what you want and have answered important questions about your business, here are a list of things to consider when interviewing prospective agencies. In most cases, you’ll be expected to pay a deposit before any work begins. Before you hand over your money, there are a few things you need to consider. Will the company deliver what is promised? Will the company still be around in a few weeks or months when the work is finished? You also want assurance that the agency will be there if you have problems with your website or want to make updates several months or years down the road. How long has the company been in business for? Is the company financially stable? This is important because it is a good indicator of whether the company will be able to provide you with long-term support. Is the company experienced in delivering the type of website that I require? For example, if you need an e-Commerce website, you’ll want to engage with a company who is experienced in developing e-Commerce websites. How long do their client relationships last? Can the company provide client references? The length of existing client relationships speaks volumes about the agency. Do they talk about partnership rather than simply building a website and walking away? Lastly, it’s important to go with your gut feeling. Do you get a good vibe from the team? Can you envision working with their team? Will they take a genuine interest in your business and look for creative ways to address challenges? 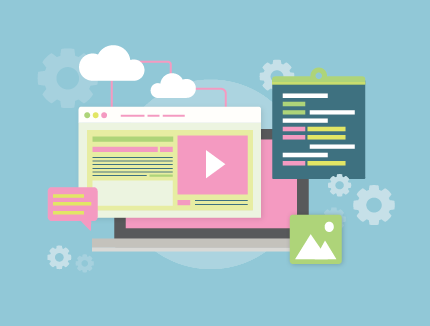 How a project is managed can have a huge impact on the success of a website project. We recommending working with an agency that assigns a dedicated project or account manager to your website project. Having a single point of contact will simplify the process for you and will reduce the likelihood of miscommunication during the design and development process. You should also ask the agency how they ensure that your project will be executed properly and on time. What checks do they have in place to ensure quality? How do they manage the timeline and budget? Do they offer weekly check-ins or status meetings? No matter the size of your project, project management is essential to success. A good tip is to ask to see the company’s process documentation – if it’s inadequate or non-existent, this is a good indication that project management is not a top priority. Another good question to ask when interviewing companies is how their projects are staffed. Companies staff projects in a variety of ways. A large company may have a ‘creative team’ assigned to your project. This could consist of a very senior Creative Director that leads a team of designers. Or there may be one single designer who will work on your website design. The same applies for how the website is developed – there may be a senior manager who oversees the creation of several sites with more junior programmers actually carrying out the work. It’s also important to ask if the team is in-house, offshore or composed of freelancers. Many agencies rely on freelancers or an offshore team to fill holes in their roster. This isn’t necessarily a bad thing. Properly managed, freelancers and offshore teams can result in major savings for you. Other agencies staff their projects entirely from in-house teams. There are many advantages to this scenario, including tighter control over the quality of deliverables and more consistent results. When a team is co-located and used to working together, the results tend to be more predicable and of a higher quality. And finally, ask about the experience, skills and capabilities of each of the team members that are likely to be assigned to your project. Can they provide examples of the projects they have worked on? For your website to be an effective business tool, prospective customers need to be able to find it via search (or anywhere else they may be looking). Some website companies say they consider SEO and conversion paths when they begin building a website but don’t necessarily have the experience, knowledge or skills to be effective. Being found and getting visitors to take action on your website is crucial, so we highly recommend engaging with a company who takes SEO and conversion optimisation seriously. By engaging with an agency that provides complementary digital marketing services you’ll be able to accomplish all of your online goals using just one company rather than hiring separate companies to work on these vitally important aspects of your online presence. Did I mention our post about choosing the best digital marketing agency over on the Apex Digital blog?!? Building a website's "footprint' and popularity in the search engines can take years and by not taking care of the necessary tasks when redesigning or redeveloping, you can risk losing this history. It is important that wherever possible, the existing structure and file names are retained or handled correctly to ensure minimal negative impact in the search engines. Read more here about the things you should consider when migrating your website. For most businesses, a website is a dynamic property that will be updated on a regular basis. To accommodate this, most websites today are built on a Content Management System (CMS). When you interview agencies, be sure to ask about the Content Management Systems that they prefer to work with. Some agencies offer proprietary CMS systems that they have developed in house. If you meet with agency that has their own CMS, be sure to ask how often updates and new features are rolled out. Open-source CMS’, like WordPress or Drupal, offer many advantages, so it’s important that the agency be able to explain why their proprietary CMS would better suit your needs. Some web design agencies offer managed hosting services, while others rely on third parties to ‘manage’ their hosting environments. Websites need to be kept secure and be repaired when issues, such as cyber attacks, occur. By learning a little bit about managed and unmanaged hosting plans, you will be better informed when comparing prospective agencies. Whether your website agency offers ongoing support – and to what level – is another important consideration. If your website is built on a CMS, updates need to be rolled out in a timely manner to ensure that your website remains secure. If you want to make an update to your website, it should be easy to get the support you need to do so. And, of course, if you have any issues with your website you should expect a support team to promptly diagnose and resolve any problems you might be experiencing. How important is it that you work with a local company? If you live in one of New Zealand’s bigger cities – Auckland, Wellington or Christchurch – you’ll be spoilt for choice when it comes to website agencies. If you’re in the provinces, your options may be limited. If working face-to-face is very important to you, then you might need to choose a local company. If it’s less important, then you’ll have more companies to choose from. Keep in mind that most website design agencies are accustomed to working with clients who are not located in their immediate vicinity. They have strategies in place to ensure a successful engagement. These may range from weekly status calls, video conferencing and even a kick off meeting at your offices, if desired. We encourage you to consider casting a wide net to provide the best results. But if strolling down the road to your web agency is important to you, then keep it in mind when making a decision. Now you’re ready to start your search! It’s obvious that there is a lot to consider when choosing a web design agency. The good news is that most website agencies will come to the table with answers to your questions before you even ask them. It’s a fairly standard practice for website agencies to share a little bit about their history, process and team members during your initial meetings. Remember, the agency is trying to win your work and their job is to impress you with their skills and track record. We believe that Limelight Online is the right website design agency for you, so get in touch and we’ll arrange a time to learn more about your next project and share our project approach and philosophy with you. As one of two founding directors, Karyn is primarily responsible for the marketing and strategic direction of Limelight Online. With full time experience in the industry since 1998, Karyn’s extensive knowledge sees her deeply involved in product and service development for both the digital marketing and web development sides of the company. 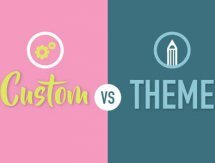 Custom vs Ready-Made Theme Website Design - Which Is Best?